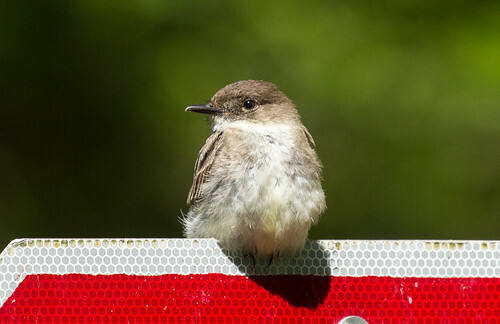 This hardy little flycatcher arrives fairly early in spring. Nests, often built on houses or other buildings, or on bridges and other structures, are lined with green mosses. Having problems with phoebes nesting on your house? Check out some ways to solve the problem.